We are proud to present the ‘Premier’ Collection of beautiful & prestigious vehicles available for wedding hire ranging from the most luxurious modern wedding cars through to the 50’s & 60’s classic cars and way back to the age of vintage motoring elegance of the roaring twenties. 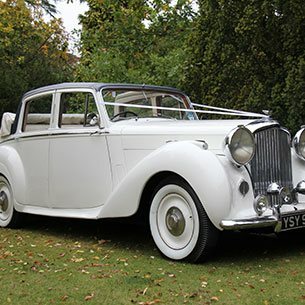 If you are looking to hire a wedding car in South Wales then look no further, our collection of Modern, Vintage and Classic wedding transport will cover all of the major towns and areas and include such makes as Rolls-Royce, Bentley, Jaguar, Beauford, Wedding Buses including the famous London Routemaster, American Stretched Limousines, Volkswagen Campervans and other unique, rare and unusual types of bridal vehicles. Lying on the Bristol Channel, South Wales has a large coastline with its well-known cities of Swansea and Newport and it’s also home of the Welsh capital of Cardiff. South Wales has many attractions, from its museums, shopping arcades and fine dining restaurants and of course the capital of Cardiff has a wealth of attractions to suit everyone. Outside of Cardiff City you will find a breath taking coastline with rich heritage where you can explore the Glamorgan Heritage Coast in the Vale of Glamorgan and the South Wales Valleys, plus the Wye Valley and Vale of Usk which incidentally boasts the most castles per square mile in Britain. Premier Carriage Wedding Cars has been established since 1996 and has gained a wealth of experience and professionalism and has successfully completed many thousands of weddings, in addition our Classic and Vintage vehicles have starred in many major film and television roles and you may well recognise some of them. 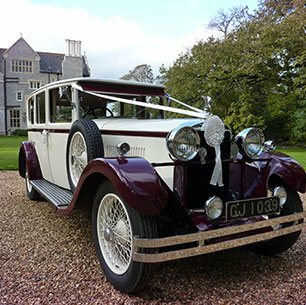 Those shown on our website are the actual vehicles provided for your special day and we will be happy to arrange a private appointment for you to view any vehicle should you wish, all come dressed with ribbons and all vehicles are chauffeur driven. 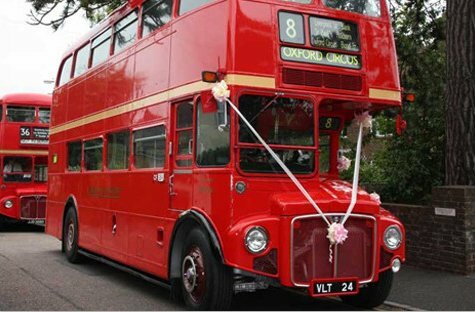 Whether you are looking to transport the Bride & Groom in one of our classic or vintage cars or all of the bridal party in one of our buses, or maybe keeping to a fixed budget is the priority we will aim to make your special day one to remember with the vehicle being the transport of your dreams. 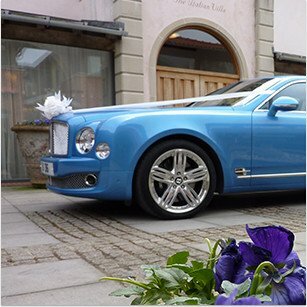 Our attention to detail and outstanding customer service together with our vast range of vehicles has allowed us to become one of the leaders in Wedding Car planning and provision. Why not choose our wedding car hire service for your own special day, and let us show you why we have ‘Premier’ in our name.